ACE Hardware Corporation is the hardware cooperative that work mainly in Illinois Oak Brook and it has its corporate office in Lenexa, KS. The company offers its services through the 4, 077 stores operating in different states of the US. 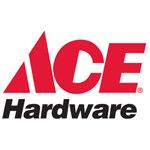 In the year 2012, the company acquired its biggest member that is West Lake Ace Hardware, which is in Lenexa, KS. The organization was established by Richard Hesse in the year 1923. According to present record, approximately 100, 000 employees (Both Full time and part time) work in this organization. Founders named the company after famous Ace pilots of World War 1 who succeeded in overcoming all burdens. There are currently 0 consumer reviews about Ace Hardware available. Share your review. Please take a note that you are about to post a public review about Ace Hardware corporate office on CorporateOffice.com. This review will be public, so please do not post any of your personal information on this website. If you would like to contact the corporate offices of Ace Hardware, please use their contact information such as their phone number, website, and address listed above to contact them. However, sometimes staff from Ace Hardware headquarters do read the reviews on this website.